Sparky the fire dog visited our room Thursday. This was a surprise so of course, I had to take a picture! 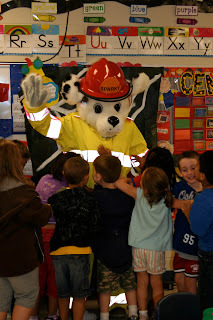 The children learned about fire safety in p.e. this week.